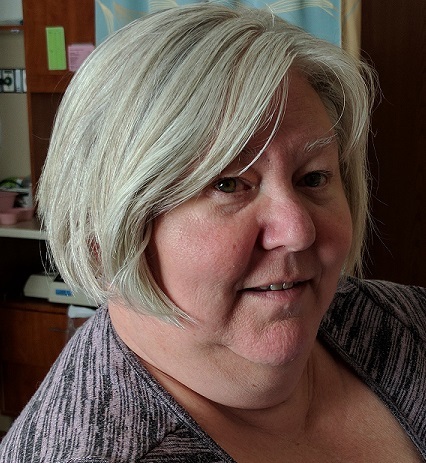 After bravely fighting cancer, Denise Marie Heugel passed away Saturday March 30, 2019 at the age of 53. She will be lovingly remembered by her husband of 17 years Karl, sons Sebastien LeBel (fiancé Enid Bukenya) and Nicolas LeBel (wife Summer), step-sons Kevin Heugel (fiancé Ashley DeLaFranier) and Brandon Heugel, grandsons Jacques LeBel and Alaric LeBel, brother Danny Ouellette (wife Nikki and their son Bryce), sister Donita Ouellette (fiance Bertin Belliveau), and in-laws Bill and Geraldine Heugel. She was preceded in death by her father Jean Ouellette and mother Marise (Michaud) Ouellette. Denise was born, Denise Marie Ouellette on July 12, 1965 in Grand Falls (Grand-Sault), New Brunswick, Canada. Denise graduated from the University of Moncton, New Brunswick with a Bachelor's degree in Psychology, and contributed to the research of a published study entitled Développement d’un test d’analyse auditive en français : normes et validation de construit. Denise loved spending time with her family, especially with her grandsons Jacques and Alaric whom she spoke to daily. She enjoyed her crafts, gardening and nature, and travelling. Her favorite places to travel to were Old Orchard Beach, Maine where she could sit on the beach and spend time with her family from New Brunswick, and a little log cabin in the woods on Tee Lake in Lewiston, Michigan with friends and family. Denise loved the work she did the past twenty years for Catholic Charities West Michigan, with their Families First Program, and all of her co-workers. She started as a social worker for the program, and eventually became a supervisor, ending with supervising the Families First team for Newaygo, Mecosta and Osceola counties. A celebration of life will be held on Saturday April 6th from 11 am to 2 pm at the Metcalf & Jonkhoff Funeral Home. Dress is casual. Lunch will be catered by Gita Pita of Grand Rapids, one of Denise's favorite restaurants. In lieu of flowers, memorial contributions may be made in her name to Catholic Charities West Michigan, Families First Program, or a charity of your choice.